The seedbed cultivator SGX series of New Holland is a method of creating an optimal seedbed in only one pass, leaving excellent conditions for germination. Establishing a uniform seedbed ensures a fast and even germination. Due to the evenness of the crop growth subsequent crop protection can also be better timed in order to gain the highest effect with the lowest input. 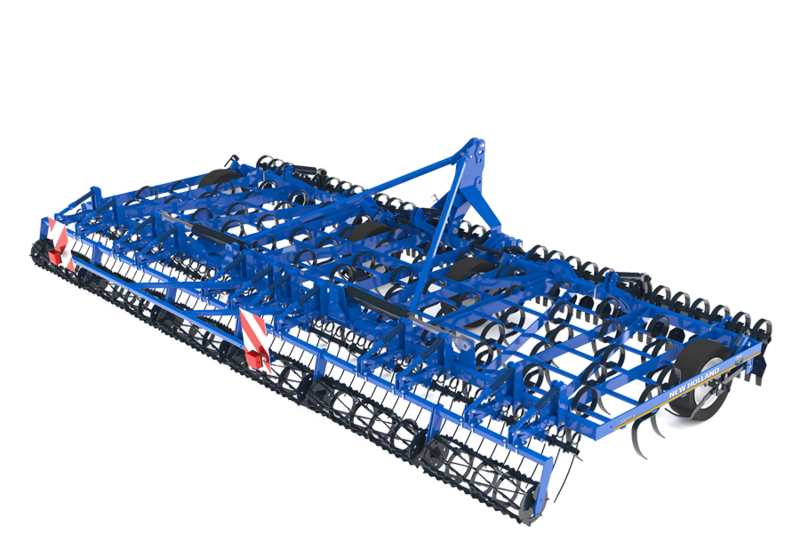 The 4 or 6 working sections are individually suspended under the main frame in a unique hydraulic suspension system, which allows each section to follow the soil contours extremely precisely. In practice this means that the exact selected working depth can be achieved across the full working width. The SGX is a high capacity precision seedbed cultivator. The smart folding principle of the wing sections allows easy movement from field to field and safe road transport. The optimal working speed is 10 – 12 km/hour, which requires upwards of 30-35 hp per meter working width.